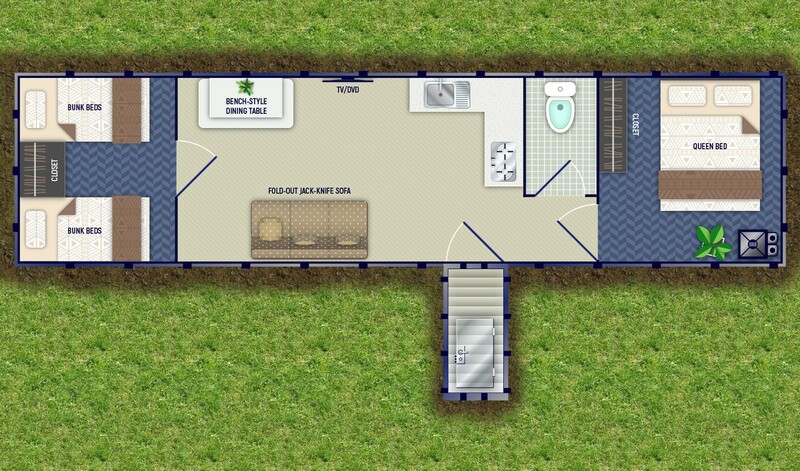 This bomb shelter offers a more open floor plan than the 20′ and 30′ models which allows for even more customization, bulk storage and shelving. 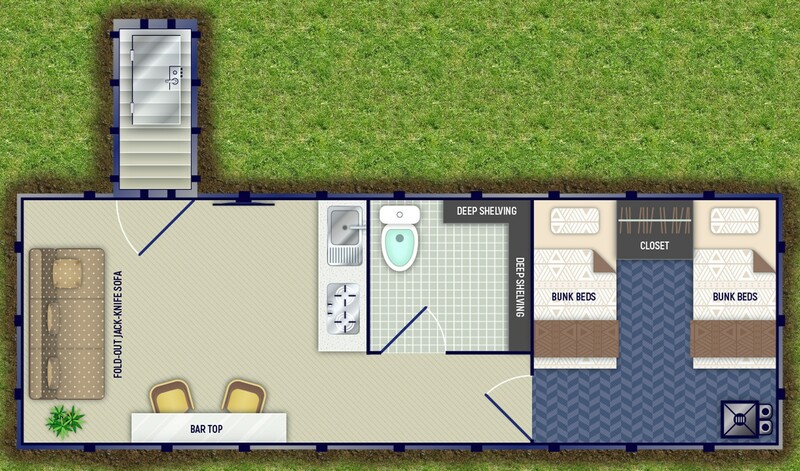 In addition to more floor space, this unit comes with our Standard Security Door, Dining Table, 2 – Extra Long Double Bunks, 2 – Closets, Basic NBC Air Filtration, Double Counter With Sink, Composting Toilet, Shelving For Food Storage, Water Pressure Pump, Grey-Water Evacuation Tank, 12 Volt LED Lighting, Solar Generation Charging System With Battery Supply, 12 Volt TV/DVD Combo, Fresh Water Inlet, 120/240 Volt Inlet, Staircase Handrail, Painted Interior and 150 Year Coating on the Exterior. 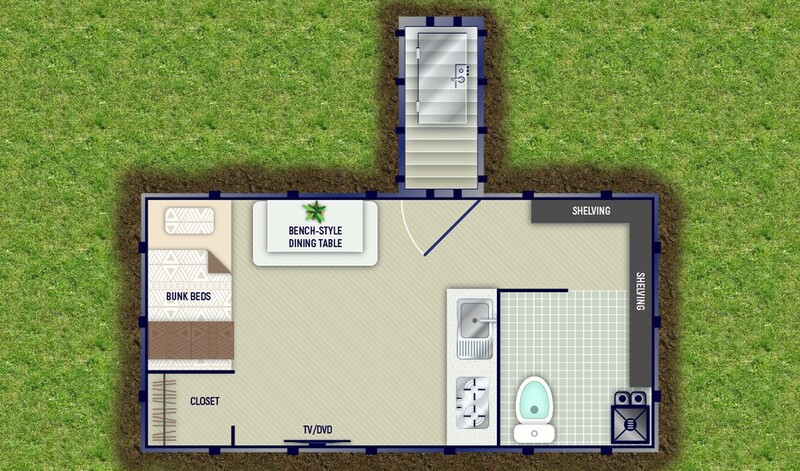 This roomy 10×40 base model bomb shelter offers sleeping for a large family up to 8 people. 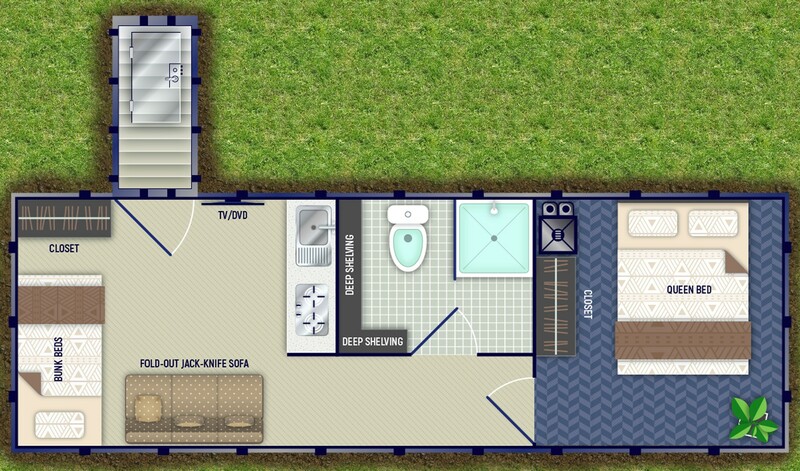 The larger floor plan of this bomb shelter offers more than enough counter space and storage shelving to keep your family going for an even longer period of time. 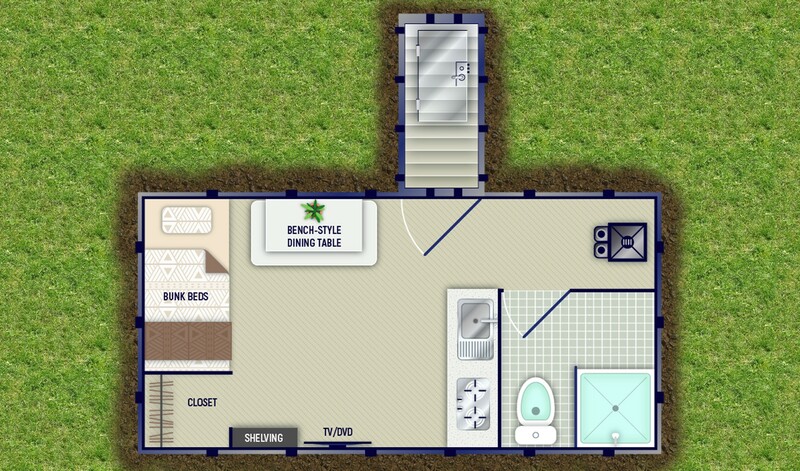 There is plenty of room for additional customization and enough space to keep everyone happy and comfortable. 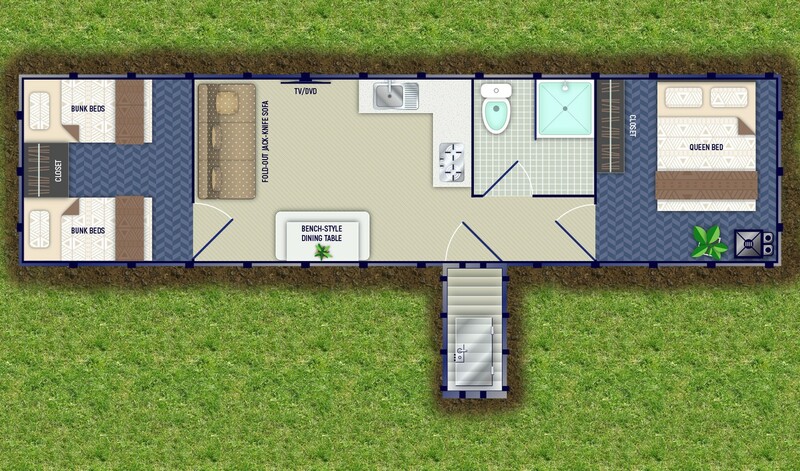 The 10×40 base model has all the necessary structures to help your family live ‘off-grid’ for an extended period of time.